1:00 PM Mar. 30th, 2019 Elorious Cain Dark end of the street..
1:00 PM Oct. 13th, 2018 Elorious Cain brilliant dancing shadows..
1:00 PM Oct. 6th, 2018 Elorious Cain Celebrating the 35th Anniversary of Ottawa's legendary CLUB 747! 1:00 PM Sep. 22nd, 2018 DJ Ducats "Straight Hip-Hop, No Fluff!!" 1:00 PM Aug. 25th, 2018 DJ Ducats & Polo "Straight Hip-Hop, No Fluff!!" 1:00 PM Jun. 30th, 2018 Elorious Cain YOU CAN NOT MISS HERBIE HANCOCK TONIGHT!! 1:00 PM May. 19th, 2018 ELORIOUS CAIN Back to outer Space! 1:00 PM May. 5th, 2018 Elorious Cain Do you know how to breakdance? 1:00 PM Mar. 10th, 2018 Elorious Cain "Let it stand alone"
1:00 PM Dec. 30th, 2017 ELORIOUS CAIN afrobeat? 1:00 PM Dec. 23rd, 2017 ELORIOUS CAIN zouk Christmas party!! 1:00 PM Dec. 9th, 2017 ELORIOUS CAIN African Salsa Party featuring gems from Africando and the incredible Boncana Maïga! 1:00 PM Oct. 28th, 2017 ELORIOUS CAIN 2nd Groove search for Funding Drive heroes featuring a GROOVE MONTAGE by CHARLOTTE CAIN! 1:00 PM Sep. 2nd, 2017 ELORIOUS CAIN back to school shuffle..
1:00 PM Aug. 26th, 2017 DJ Ducats and very special guest DJ Callie Ban straight outta N.Y.C.! "Straight Disco, No Fluff!! 1:00 PM Aug. 5th, 2017 Elorious Cain Gliding differing planes..
1:00 PM Jul. 15th, 2017 ELORIOUS CAIN ((sludge/​acid::DETROIT AND BEYOND!! 1:00 PM Jul. 1st, 2017 Elorious Cain 150TH CANADA DAY CELEBRATION MIX of disco from across the country! 1:00 PM Jun. 3rd, 2017 ELORIOUS CAIN Eurodisco you don't often hear. 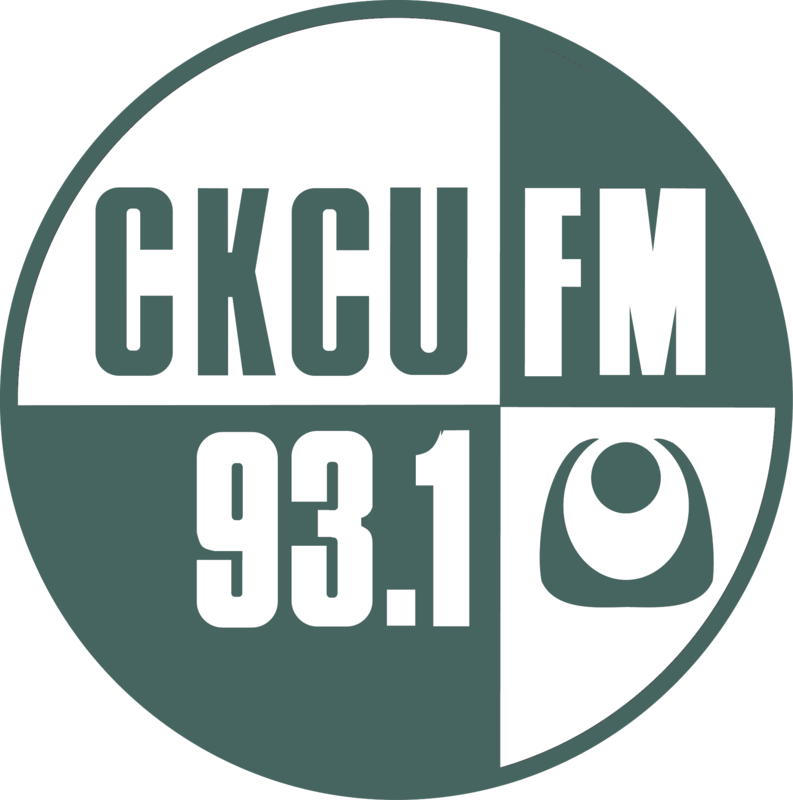 It is DOORS OPEN OTTAWA here at CKCU! You can come and visit us in the studio! 1:00 PM May. 20th, 2017 Trevor Walker & Jefferson Park Long weekend dance party! 1:00 PM May. 6th, 2017 Elorious Cain Mirror, mirror??? 1:00 PM Apr. 15th, 2017 Elorious Cain Turn off the tv set, the easter bunny's caught in the TRAP! 1:00 PM Mar. 25th, 2017 ELORIOUS CAIN 2 hours of THE CHEMICAL BROTHERS! 1:00 PM Jan. 28th, 2017 Elorious Cain "just shut up already!..." 1:00 PM Jan. 21st, 2017 Elorious Cain Japan - 2 hours of Japanese disco! 1:00 PM Jan. 14th, 2017 ELORIOUS CAIN "Electro essential"
1:00 PM Nov. 12th, 2016 Elorious Cain Just thank you so very much! 1:00 PM Nov. 5th, 2016 ELORIOUS CAIN The final funding drive show. 1:00 PM Oct. 29th, 2016 ELORIOUS CAIN The 2016 search for FUNDING DRIVE HEROES 2 - Great disco cover versions of great disco songs! 1:00 PM Oct. 15th, 2016 Elorious Cain Do you like it hard? 1:00 PM Sep. 10th, 2016 Dj Ducats & Marko Polo "Straight Hip-Hop, No Fluff!!" 1:00 PM Aug. 20th, 2016 ELORIOUS CAIN ANXIOUS PRIDE WEEK "GAYDISCO"CLASSIX BEATSLAM!%@:)*!? 1:00 PM Aug. 6th, 2016 ELORIOUS CAIN Bass Brilliantz: Moombahton, Moombahcore, Dubstep, Brostep, Electro, Dancehall, Glitch Hop etc!!!! 1:00 PM Jul. 23rd, 2016 ELORIOUS CAIN "nothing IS GETTING US anywhere! *%"
1:00 PM Jul. 2nd, 2016 ELORIOUS CAIN "Could you rewind it?" 1:00 PM Jun. 11th, 2016 various REGGAE IN THE FIELDS 40 anniversary picnic, dance and more!!! 1:00 PM May. 28th, 2016 ELORIOUS CAIN Clutching onto classic romantic Disco for survival. 1:00 PM Apr. 23rd, 2016 TEKNOBRAT 100% Vinyl from da Motor City... And Beyond..
1:00 PM Apr. 2nd, 2016 ELORIOUS CAIN "wits end"
1:00 PM Mar. 26th, 2016 Trevor Walker Funky dance party! 1:00 PM Jan. 30th, 2016 Elorious Cain funked jack rabbit poppin' out a your third eye..
1:00 PM Jan. 9th, 2016 ELORIOUS CAIN 1960'S & 1970'S GEMS REMIXED for "today"? 1:00 PM Sep. 5th, 2015 ELORIOUS CAIN for those who like DUBSTEP..
1:00 PM Aug. 29th, 2015 ELORIOUS CAIN ELECTRONIC DISCO is not E.D.M.!!! 1:00 PM Aug. 8th, 2015 ELORIOUS CAIN SKCZY spinning live from JAM DAY 2015 at Mooney's Bay! 1:00 PM Jul. 4th, 2015 ELORIOUS CAIN Special look at some amazing artists appearing at the 2015 RBC OTTAWA BLUESFEST! 1:00 PM Jun. 20th, 2015 Trevor Walker Dance party! 1:00 PM Jun. 6th, 2015 ELORIOUS CAIN "do ya have any idea how odd this sounds?" 1:00 PM Apr. 25th, 2015 ELORIOUS CAIN una breve historia: TANGO in DISCO + ¡TANGOELECTRONICO! & "neotango"
1:00 PM Mar. 21st, 2015 ELORIOUS CAIN RETURNINGTOTHE80'S! 1:00 PM Mar. 14th, 2015 ELORIOUS CAIN ever changing shades of House Music..
1:00 PM Nov. 8th, 2014 ELORIOUS CAIN All Gems for the Heroes..
1:00 PM Nov. 1st, 2014 ELORIOUS CAIN Are there anymore heroes? 1:00 PM Aug. 23rd, 2014 ELORIOUS CAIN ORIGINAL UNDERGROUND ACRONYM : H.O.U.S.E. = Homosexuals Of Unusual Sexual Experiences! 1:00 PM Feb. 22nd, 2014 ELORIOUS CAIN & TEKNOBRAT 2014 BLACK HISTORY MONTH SPOTLIGHT ON UNDERGROUND RESISTANCE - "Music That Never Surrenders..". 1:00 PM Nov. 16th, 2013 ELORIOUS CAIN One big thank you! 1:00 PM Nov. 9th, 2013 ELORIOUS CAIN & CHARLOTTE CAIN LAST FUNDING DRIVE EPISODE OF THE GROOVE!!! 1:00 PM Oct. 5th, 2013 DJ TEKNOBRAT In the name of The Groove keep the Nu-disco & Deep House vibes thrive and alive !!!! 1:00 PM Jun. 1st, 2013 CHARLOTTE CAIN CHARLOTTE CAIN'S BASS EXPLOSION featuring djs EAN SKIZZLE and ITSO JOHNNY from THEDOCKINGSTATION! and also ELORIOUS CAIN pumping the bass live. 1:00 PM May. 4th, 2013 ELORIOUS CAIN In memory of CHOPPER MCKINNON, more than "40 MINUTES OF UNINTERRUPTED FUNK"
1:00 PM Apr. 13th, 2013 ELORIOUS CAIN "ABSOLUTELY RIDICULOUS"
1:00 PM Feb. 23rd, 2013 ELORIOUS CAIN BLACK HISTORY MONTH CELEBRATION: FATBACK BAND! 1:00 PM Jan. 5th, 2013 ELORIOUS CAIN CELSO VALLI !!!!! 1:00 PM Dec. 8th, 2012 ELORIOUS CAIN TRANSAFRICA 1 *** O RIO DE JANEIRO - LISBOA - A LUANDA: PORTUGESE CIRCULO BATIDO! 1:00 PM Oct. 27th, 2012 ELORIOUS CAIN & TEKNOBRAT 2012 FUNDING DRIVE SEARCH FOR HEROES PART 2 - SPECIAL GUEST LEN PUCKERIN. 1:00 PM Sep. 15th, 2012 DJ TEKNOBRAT Chill n' Deep vs Hard n' Dark !!! 1:00 PM Aug. 25th, 2012 ELORIOUS CAIN 21ST.CENTURYGAYDISCOBOOOOM!!!! 1:00 PM Jul. 7th, 2012 ELORIOUS CAIN 'INYOURFACE' ELECTRO! 1:00 PM Jun. 23rd, 2012 ELORIOUS CAIN "EVERYTHING IS RHYTHM"
1:00 PM Jun. 9th, 2012 ELORIOUS CAIN & LOUIS DUCHARME 2 HOURS OF BEASTIE BOYS - LOUIS DUCHARME SPINNING! 1:00 PM Apr. 28th, 2012 ELORIOUS CAIN "WHAT IS NUDISCO?" 1:00 PM Mar. 3rd, 2012 ELORIOUS CAIN DUBSONIC SACRILEGES? 1:00 PM Feb. 4th, 2012 ELORIOUS CAIN BLACK HISTORY MONTH CELEBRATION: BLACK GAY DISCO of SAN FRANSISCO! 1:00 PM Dec. 3rd, 2011 ELORIOUS CAIN SOUKOUSSZOUKSOUKOUSSBOOM!! 1:00 PM Nov. 19th, 2011 ELORIOUS CAIN TRIBUTE TO HEAVY D. (1967-2011) plus other HIPHOP variations. 1:00 PM Oct. 8th, 2011 Thomas "Teknobrat" Stepien Special Nu Disco - Deep House Chillout Mix Session !!! 1:00 PM Oct. 1st, 2011 ELORIOUS CAIN CLASSIC ELECTRO DJ BATTLE - EAN SKIZZLE VS LOUIS DUCHARME! 1:00 PM Sep. 3rd, 2011 ELORIOUS CAIN THE "REMEMBERING OPEN MIND" PSY EXPLOSION!!! 1:00 PM Aug. 20th, 2011 ELORIOUS CAIN 'discofied' TV THEMES!! 1:00 PM Jun. 25th, 2011 CHARLOTTE CAIN 11 MONSTER TRACKS from the album 'BORN THIS WAY' by LADY GAGA mixed with other cool new disco! 1:00 PM May. 28th, 2011 ELORIOUS CAIN BACK TO CHICAGO 1988! 1:00 PM May. 14th, 2011 ELORIOUS CAIN ¡SALSA MÁS BRILLANTE! 1:00 PM Apr. 30th, 2011 ELORIOUS CAIN ... AND THE DARKNESS PREVAILS. 1:00 PM Apr. 16th, 2011 ELORIOUS CAIN UNCLE JEROME'S FANTASY FUNKED OUT!! 1:00 PM Apr. 2nd, 2011 ELORIOUS CAIN Celebrating FELA KUTI! 1:00 PM Mar. 12th, 2011 ELORIOUS CAIN THE 1990'S WILD STUFF!! 1:00 PM Mar. 5th, 2011 ELORIOUS CAIN DUBSTEP INSANITIES featuring special mix by ALISON WONDERLAND! 1:00 PM Feb. 5th, 2011 ELORIOUS CAIN BLACK HISTORY MONTH CELEBRATION - THE COMPLETE BONEY M!!!! 1:00 PM Jan. 8th, 2011 DJ TEKNOBRAT European Extravaganza !!! 1:00 PM Jan. 1st, 2011 CHARLOTTE CAIN THE TOP 25 DISCO SONGS OF 2010!! 1:00 PM Dec. 25th, 2010 CHARLOTTE CAIN ZOUK NOEL!!!! 1:00 PM Dec. 18th, 2010 Thomas "Teknobrat" Stépien Teknobrat Loves Afrika & its Musikal Disko Pearls !!!! 1:00 PM Dec. 11th, 2010 ELORIOUS CAIN AFRICANOW? 1:00 PM Nov. 13th, 2010 ELORIOUS CAIN GIGANTIC THANKYOU TO ALL OF YOU AMAZING HEROES!!!!! 1:00 PM Nov. 6th, 2010 ELORIOUS CAIN FINAL 2010 FUNDING DRIVE HERO SEARCH!!! 1:00 PM Oct. 9th, 2010 ELORIOUS CAIN COOL SOULFUNK! 1:00 PM Oct. 2nd, 2010 ELORIOUS CAIN SPECIAL CHILL EXTRAVAGANZA with special guests ALISON WONDERLAND and KODA! 1:00 PM Sep. 11th, 2010 ELORIOUS CAIN SLAMMIN' HOUSE TIME!! 1:00 PM Aug. 28th, 2010 ELORIOUS CAIN PRIDE WEEK GAYDISCO SLAM! 1:00 PM Aug. 7th, 2010 ELORIOUS CAIN RETURN TO THE LATE 1960'S AND EARLY 1970'S BY POPULAR DEMAND! 1:00 PM Jul. 3rd, 2010 CHARLOTTE CAIN SPECIAL 31ST ANNIVERSARY EPISODE! 1:00 PM Jun. 5th, 2010 ELORIOUS CAIN NIGERIA!! 1:00 PM May. 8th, 2010 ELORIOUS CAIN GO ON.. GIT FUNKY!!! 1:00 PM Apr. 3rd, 2010 ELORIOUS CAIN HARDSTYLE? 1:00 PM Feb. 6th, 2010 ELORIOUS CAIN 2010 BLACK HISTORY MONTH EXAMINATION OF STEVIE WONDER!